Osoyoos Lake presents, in a sense, a microcosm of global concerns. This beautiful lake spanning the Canada-United States border in the Okanagan River basin is subject to a wide array of challenges to sustainability in the 21st century. 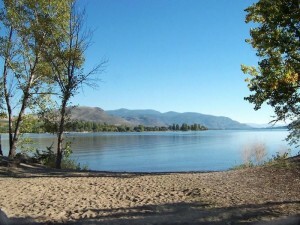 The Osoyoos Lake Water Science Forum focused attention on the needs and challenges for sustaining the ecological health of the lake, along with the related well-being of the basin’s residents and visitors. Lake sustainability depends on the actions of all who work, live or visit the basin, and all those involved in governance.